COMINT or communications intelligence is intelligence gained through the interception of foreign communications, excluding open radio and television broadcasts. 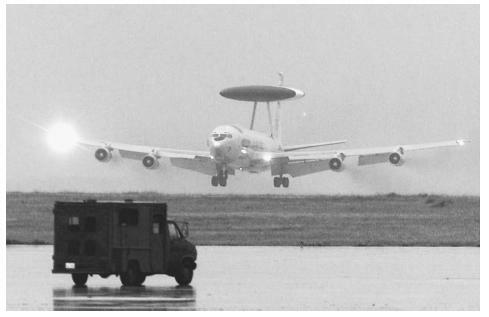 It is a subset of signals intelligence, or SIGINT, with the latter being understood as comprising COMINT and ELINT, electronic intelligence derived from non-communication electronic signals such as radar. During the early part of the modern intelligence era, the terms "signals intelligence" and "communications intelligence" were used virtually interchangeably, and therefore, much of what was described as signals intelligence in World War II is more properly understood as COMINT. COMINT is the province of several services, both military and non-military, most notably the National Security Agency (NSA) and the United States Army Intelligence and Security Command (INSCOM). Until the establishment of NSA in 1947, however, the majority of COMINT took place under the aegis of "signals intelligence" activities in the two principal military services. Though military cryptanalytic and cryptographic operations dated back at least to World War I, and included activities at the War Department Military Intelligence Division under the direction of Herbert O. Yardley, the first true COMINT organization was the Army's Signal Intelligence Service (SIS). Established on April 24, 1930, SIS not only undertook cryptographic and cryptanalytic tasks, but developed cipher machines and produced studies on cryptology. Its greatest achievement was its breaking of the Japanese diplomatic ciphers with the PURPLE code machine prior to World War II. In June 1942, after the outbreak of war, SIS acquired an intercept operation in the form of the 2nd Signal Service Battalion, which conducted radio intercepts at Vint Hill Farms in Warrenton, Virginia. A tale of two services. The interaction of army and navy COMINT activities during the war is rather like a morality tale of two brothers, the older one highly favored, but failing to live up to expectations, and the younger one coming from behind to triumph. In this analogy, the army was the "older brother," and the navy, which lacked a true COMINT organization during the war, the surprising dark horse. After its initial victory with PURPLE, SIS conducted a long and frustrating effort to crack Japanese military codes, succeeding only in 1944. The Navy had, at the end of World I, a cryptologic bureau that had emerged during the war. The bureau provided codes for the use of President Woodrow Wilson during the Paris Peace Conference, but when Yardley demonstrated his ability to break the naval codes, the Office of Naval Intelligence (ONI) closed down the cryptologic bureau in July 1918. Navy COMINT efforts then retreated to the shadows—a fitting place for intelligence operations. Naval successes in the 1920s. Operating through the Research Desk at the Office of Naval Communications, the Navy's informal COMINT unit, designated OP-20-G, consisted of Lt. Laurence F. Safford and a four-person civilian staff. Denied any help from the army, the unit, which began operation in 1924, turned its attention to Japanese naval codes. By then the navy, in collaboration with the Federal Bureau of Investigation and the New York City police, had already undertaken several attempts to—quite literally—steal codes from the Japanese Consulate in New York City. A series of breaks-in during the 1920s led to the compilation of a Japanese codebook. Because of the book's red binding, the code itself was thenceforth known as RED. COMINT cooperation during the war. The navy actually played a critical role in decoding PURPLE: the machine that broke the code was constructed at the Washington Naval Yard in 1940. Thereafter SIS and the naval unit worked together to break the Japanese diplomatic code. At the same time, the navy had more success than the army in breaking the codes of its Japanese counterpart—but unfortunately, a change of code on December 1, 1941, helped make the United States vulnerable to the attack on Pearl Harbor that occurred six days later. However, the navy was able to penetrate Japan's naval codes several other times, reacquiring them after changes by the Japanese, and thus contributed to Ameri can success in the battles of the Coral Sea and Midway in mid-1942. By the end of the war, the status of naval COMINT had risen to such a degree that SIS actively sought its help. The postwar era. Between 1942 and September 1945, SIS went through a staggering number of name changes, to Signal Intelligence Service Division, Signal Security Division, Signal Security Branch, Signal Security Division (again), Signal Security Service, and Signal Security Agency. In September 1945, it became the Army Security Agency, which was replaced by the Army Intelligence and Security Command in January 1977. The naval COMINT office only acquired a formal name in 1968, when it was designated the Naval Security Group. Later it was placed under NSA, which replaced the Armed Forces Security Agency, a shortlived (May 1949-October 1952) attempt to consolidate cryptology operations of all the services. Aldrich, Richard J. The Hidden Hand: Britain, America, and Cold War Secret Intelligence. Woodstock, NY: Overlook Press, 2002. Alvarez, David J. Allied and Axis Signals Intelligence in World War II. Portland, OR: F. Cass, 1999. Andrew, Christopher M. Codebreaking and Signals Intelligence. Totowa, NJ: F. Cass, 1986. Gilbert, James L., and John Patrick Finnegan. U.S. Army Signals Intelligence in World War II: A Documentary History. Washington, D.C.: U.S. Government Printing Office, 1993. Sexton, Donal J. Signals Intelligence in World War II: A Research Guide. Westport, CT: Greenwood Press, 1996. West, Nigel. The SIGINT Secrets: The Signals Intelligence War, 1900 to Today: Including the Persecution of Gordon Welchman. New York: W. Morrow, 1988. Pearl Harbor Revisited: U.S. Navy Communications Intelligence, 1924–1941. U.S. Naval Historical Center. < http://www.history.navy.mil/books/comint/ > (March 29, 2003).